Optimized with smart features like a personal fitness coach, GPS tracking, and text notifications. Improved resolution, brightness, and customizability. Favorite features among customers include sleep tracking, music access, wallet-free payments, and heart rate monitoring. The multi-day battery life is handy too. Bigger design and price tag. Some customers report lag time or difficulty with music syncing and GPS tracking. The Fitbit Flex 2 delivers on the core features—fitness stats, swim-proof, sleep tracking—all in a minimalist fashion. Ultra-thin band, affordable, and does the trick as far as activity tracking goes. Swim-friendly, so you can take it in the water. It’ll even count your laps. No watch interface, which might be exactly what you’re looking for. Some users report sync and accuracy issues. Shorter battery life. Enjoy a simplified display, extended battery life, and new features like built-in GPS and a relax mode for zen masters and athletes alike. Extended battery life. Built-in GPS, alarms, breathing trainers, and optional text notifications. High quality and more cost-effective than other trackers with similar features. Some difficulty reading pulse during workout. This version is not waterproof. Extremely lightweight and added features for music storage and extended exercise modes, but reported as less reliable. A comfortable band with an array of features and solid battery life. Customers love that you can charge the Fitbit Versa while wearing it. It’s incompatible with some devices, like the Google Pixel 2. The Fitbit Blaze has the look and feel of a smartwatch without too many fancy features to drive price up. Reasonably priced with a good battery life and standard features, like heart rate monitoring and multiple exercise modes. The screen is reminiscent of an Apple Watch. Bulky without the benefit of advanced features. Some customers report discomfort with the band. Fitbits are a great way to monitor your health from exercising, breathing, and even sleeping. New Fitbits have features that let you sync music to the device or track your location with a built-in GPS. Wearable technology can improve the quality of your workouts as well as your understanding of your own health. However, it can be difficult to decipher which device is the right for you, your regimen, and your needs. The House Method team tested these activity trackers, skimmed thousands of Fitbit reviews, and answered common questions we ran into along the way. Fitbits are wearable activity trackers. The company has created a variety of portable, high-tech products that help you monitor and improve your overall health—all at a flick of the wrist. That’s the good news. The great news is that there are several different types of Fitbits designed for a wide spectrum of users from beginners to seasoned athletes. 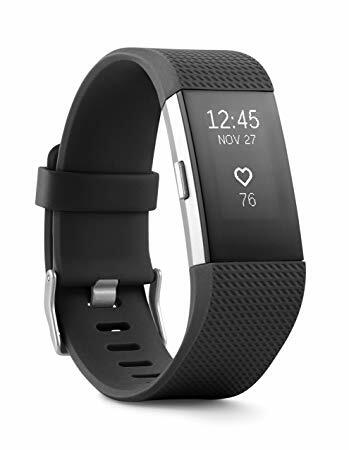 The company has been producing and improving activity trackers since 2007, so your options maybe overwhelming, especially for users who are new to exercise or who aren’t necessarily ready for all the bells and whistles. For users who are looking for the latest and greatest in high-tech features, it’s important to know which trackers you can rely on for a cutting-edge yet functional product. 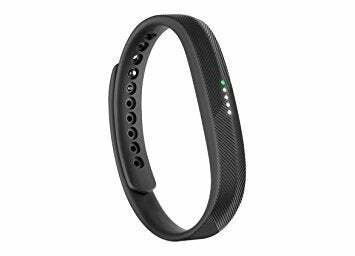 For guidance on the right band for your needs, check out our Fitbit comparison above and our best buyer’s guide below to inform your purchase and get you up and running—literally. All Fitbits offer a pedometer function. Pedometers count your steps, and your activity tracker will set a daily goal for how many steps you should strive toward. Many customers love working toward their 10,000-step goal, according to almost all Fitbit reviews. It’s challenging yet attainable for new and experienced users alike. Select models have a built-in GPS. Look through the device’s exercise modes to select an exercise that captures GPS data. This will generate maps of your activity and calculate distance, elevation, and pace. A great choice for distance hikers, bikers, or runners, or those looking to improve pace. Some—not all—bands are fully functional in water and can even count your laps. Double-check the product description for this waterproof feature before you immerse your new Fitbit in water. Fitbits can track your pulse throughout the whole day during rest and active exercise. This is where reliability is important. Some activity trackers don’t always give accurate reads. If you have a heart condition or if monitoring your heart rate is important to you, go for a new Fitbit with enhanced accuracy. Fitbits can track calories burned by monitoring your heart rate and taking activity into account. This is a comprehensive way to understand the intensity of your workouts—or your day in general. Make sure you’re balancing calories in versus out. Word to the wise: Consult a dietary expert to learn the right diet for your body and lifestyle—there are a lot of options and everyone’s different. The Relax mode acts as a breathing coach. It’s a new feature to help you achieve mindfulness in your day. This feature is a friendly reminder throughout the day to take either a two- or five-minute session for deep breathing and meditation. Don’t knock it before you try it. Deep breathing is proven to lessen anxiety, reduce stress, and lower blood pressure. Another great holistic feature all Fitbits have is sleep tracking. It’s designed to monitor your sleep patterns through movement analysis and a heart rate monitor. With this, you’ll see a record of the sleep stages you cycle through and be able to learn the optimal times and hours for you to improve your sleep quality and wake up feeling well-rested. It may take some getting used to, but you’ll have to wear your wristband in bed if you want to take advantage of this feature. Many models are able to either be clipped onto clothing or worn on the wrist. Some users believe the clips are more accurate. Others prefer the wrist because it’s convenient to monitor and comfortable to wear. If you go with the wrist option, you’ll be wearing your Fitbit in plain sight. If style is important to you, consider models with changeable wristbands. Some bad can even charge your device while you wear it. Consider screen preferences before purchase. Although bulkier, full-screen watches—like the Fitbit Ionic or the Blaze—will display stats and notifications in real time. If you’re a minimalist, go for the discrete Flex 2, which doesn’t have a screen at all. The Fitbit Charge 2 HR is perhaps the best of both worlds with a reduced screen. Some new Fitbits sync music (up to 300 songs) with apps like Pandora or Spotify. If you like to jam out while you work out, look for models with this function. No worries if you prefer podcasts. This function works well with both music and podcasts. The Ionic is souped up with features. Use tools like GPS, sleep tracking, music syncing, and notifications to get the most out of your Fitbit. The Ionic is customizable, reliable, and accurate, with improved resolution and brightness brought to you by a sleek screen. To sync music and podcasts, take time to read instructions and watch video tutorials, which some customers have reported to be worthwhile. Who can use a Fitbit? New users: For folks new to exercise or just new to Fitbit, start with a basic model, like the Fitbit Flex 2, or focus on mastering one feature at a time. Start with a fixed amount of attainable goals, such as steps per day, or calorie intake, and build from there. Moderate exercisers: You’ll have access to multiple exercise modes (up to 15) to track and guide you through the workouts you know and love. It might even introduce you to a new exercise or two. This allows more accurate reads and insights when you review your activity later. For example, if you’re a cycler, it’s as simple as choosing the spinning activity on your device and just starting your spin class as soon as you’re ready. Time for a water break? Simply press pause. Experienced exercisers: Advanced versions, like the Ionic or the Fitbit Versa, can help push you to the next level. The swimming mode can count your laps and GPS will document your running distance and pace. The Blaze has a similar look and feel as the Ionic without the added cost. Give it a try if you want an easy-to-read screen and won’t miss all of the bells and whistles. The Blaze looks like a sophisticated watch that you could wear to work. 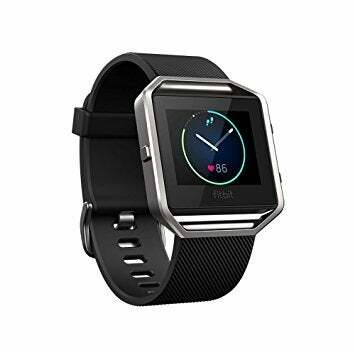 It has all of the typical Fitbit features built in, including a pedometer and heart rate monitor. What is the best Fitbit? Our favorite Fitbit is the Ionic. It has a sleek, high-tech screen and improved features for a comprehensive report of your health. The Fitbit Ionic is waterproof, it has a GPS tracker, and you can sync all of your gym jams to it. If you’d prefer a slimmer band, but still want a wide range of features, try the Fitbit Charge 2 HR—just don’t put it in water. Or if you like the look, but not the price tag, check out the Fitbit Blaze. How much does a Fitbit cost? Price is based on features and screen size. Try the Fitbit Flex 2 for a cost-effective option in the $50 range. A lower price point means limited features though. 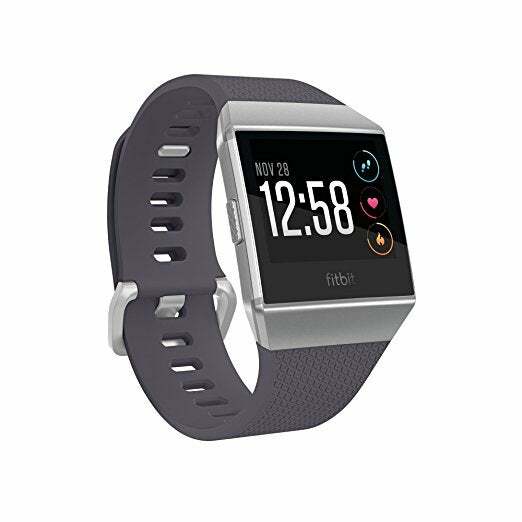 More high-tech Fitbits, like the Fitbit Charge 2 HR or the Ionic, can range from $130 to $250. Which Fitbits can you swim with? Some Fitbits—like the Flex 2, Fitbit Ionic, and Blaze—are waterproof and these bands can even count your laps. Refer to your owner’s manual to find the exact depth your waterproof Fitbit can handle. Note: The Charge 2 HR and Fitbit Versa are not waterproof. Is the Fitbit steps tracker accurate? The pedometer is pretty accurate. Wearing a Fitbit as a wristband will make it more susceptible to inaccuracies. For example, if you move your hands while your body is stationary—i.e. brushing your hair in the morning—or if your hands are still while you walk, say pushing a grocery cart. Clippable options are reported to be more accurate but a bit less convenient to monitor. Does a Fitbit monitor your heart rate? Yes, Fitbits will monitor your heart rate. Some models are more accurate than others, but they all use heart rate to inform metrics, like calories burnt and sleep patterns. While Fitbits can be helpful heart rate monitors, they are not medical devices. On one hand, you could make the argument that Fitbits increase the likelihood of a user identifying an irregularity and seeking medical attention sooner than if they hadn’t had the visibility to their heart rate. On the other hand, Fitbits could be inaccurate and cause unnecessary concern. We recommend taking these reports with a grain of salt. Our top 5 trampolines check all the boxes: shape, size, and safety. Read our guide to trampolines here.